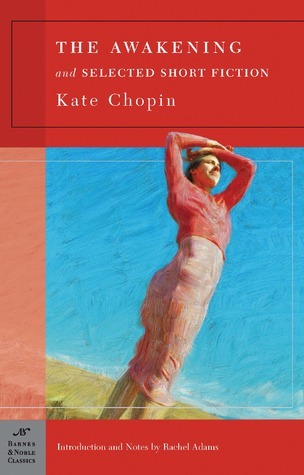 Kate Chopin is widely heralded as one of the first and most important feminist writers. Her stories met with great disapproval in her time due to her portrayal of miserable marriages and women who found the inner courage to search for something different. The first (and best-known) story in this collection is The Awakening. It revolves around Edna Pontellier, who lives an affluent life in New Orleans with her husband Leon and two small sons. As they vacation, she feels an increasing dissatisfaction with her life and her relationships. She slowly begins dismantling and rebuilding her life, hoping to find peace, a purpose, and perhaps even happiness. There is no doubt that Chopin is an important writer. She wrote about women who were not content to be decorations on their husbands' arms in a time when such things were not to be spoken of. She captures the subtlety of depression and despair beautifully and is exceptionally talented at making the reader feel as if they are actually in a New Orleans mansion or vacationing by the shore. We can feel, though Edna's experiences, the haze of desire or complacency and the cold slap of harsh reality. But Edna as a character is not particularly engaging. She is detached from her life and seems detached from the reader as a result. She can be impulsive at times and Chopin spends little time explaining her choices, leaving it up to the reader to conclude what they will. It's hard to know whether Chopin intended for her character to become a figurehead for women's rights. Many modern critics vilify Edna as selfish and inconsiderate or celebrate her as a woman who dared to break free of the restrictions of her time. Either way, Edna (and, it would appear, Chopin) don't seem to care about what you think. Both author and character found an outlet for the discontentment they felt about their lives - Chopin through her writing and Edna through her painting. While I found the writing good and the characters interesting, I had trouble reading these stories all in a row. Chopin writes a very specific kind of story and things start to feel repetitive quickly. This is an author who truly understands the short story and, in many cases, the stories that take up the fewest pages are the ones that pack the greatest emotional punch. When you read Desiree's Baby or The Story of An Hour, it almost seems as if you can close the entire volume because you understand Chopin and her skill as a writer. This author is one who should not be missed in the cannon of American writers. Reading one single powerful story will give you insight into why she is important as a talented writer and as someone who spoke for women when they had no voice. I really want to read The Awakening, when I do I think I'll read just that and not all the stories that go with it in most volumes. Have you read Madame Bovary? The two books are sometimes compared. I haven't read that one yet. Have you? I will have to get that book and see how they are similar. Thanks for the recommendation, Sam! What a beautiful and thought-provoking review! I need to read The Awakening. I appreciate the fact that the author had the courage to make Edna a complex, morally ambiguous character rather than a figurehead for human rights. I agree that Edna is a developed character, but I have to imagine that Chopin knew she would become somewhat of a symbol for good or ill. She was, after all, crying out in a very public way against things that her society saw as normal. I had issues with the end of this. I forget why. p.s. This is indeed a delightful blog, but my attention span is so slight as to forbid long paragraphs unless they're scattered amongst moving images.